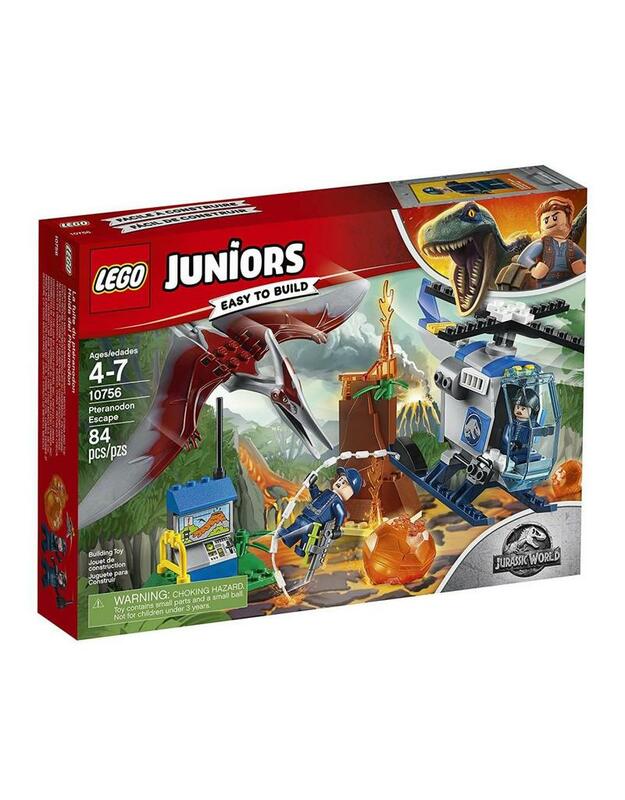 Introduce your child to the excitement of exploring in a LEGO Juniors Jurassic World adventure with this Pteranadon Escape set, featuring an Easy to Build helicopter with a Quick Start chassis and spinning rotor, small volcano with buildable lava balls and a buildable Pteranadon with movable wings and beak. This cool toy for kids also includes a simple guide to build and play to help build confidence in children ages 4-5. 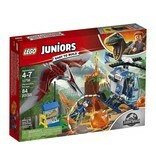 Includes 2 minifigures and a Pteranadon figure.